I’m always talking about how I value learning from video games. That’s why I’m particularly interested in Sarah’s choice for this month’s “famous person” post. 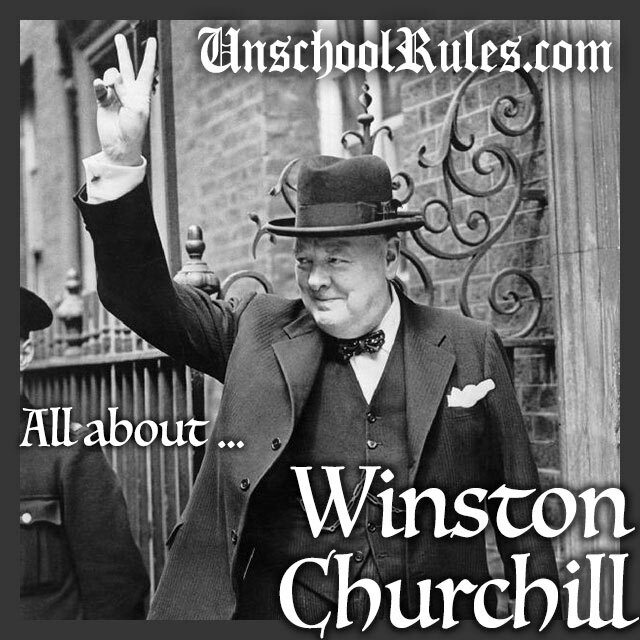 She picked Sir Winston Churchill, and we’re sharing some info today in honor of what would have been his 140th birthday Nov. 30 as part of the iHomeschool Network’s celebration of November birthdays. Disclosure: This post has some affiliate links. I only link to things we legitimately use and recommend, so if you see such a link, it&apos;s because we really do believe in the book or item! Sir Winston Churchill was born Nov. 30, 1874, served as Prime Minister of Britain from 1940 to 1945 and again from 1951 to 1955, won the Nobel Prize for Literature, was a fairly well-known painter and bred butterflies in his free time. A real Renaissance man! He served in a number of military and political positions in Britain, but in his earlier life, Churchill, the son of British aristocrats, had a rough time in school and a distant relationship with his parents; stories report he wrote to his mother from boarding school, begging for her to visit or to take him home, and that he barely spoke to his father. Some biographies report that he had a fairly severe speech impediment; he disliked math and he had to take the military college entrance test three times before getting accepted. But despite those issues, Churchill went on to be regarded as one of the greatest wartime political leaders of modern history for his leadership of Britain during World War II. See, Neville Chamberlain was leading Britain at the start of the Second World War, but things were going pretty awfully, and he resigned just before the German invasion of France in May 1940, and in a slightly weird turn of events, in a meeting between Chamberlain, a man named Lord Halifax who turned down the next Prime Ministership, and David Margesson, the British government’s Chief Whip, Churchill’s name came up as a strong recommendation for the role, and he took on the role at the age of 65. In one of the earliest of many famous speeches made by Churchill, he pointed out to the people of Britain that he had “nothing to offer but blood, toil, tears, and sweat,” and in fact he dedicated his life to giving just that for his country. When World War II ended, the country’s needs changed from a wartime leader to a peacetime one, though, and he was defeated in the 1945 election. In his personal life, he was married to a woman named Clementine Hozier who he knew most of his life, and they had five children, and he was the first person to be made an honorary citizen of the United States, thanks in part to his close relationships with both Franklin Roosevelt and Harry Truman. But he also suffered from depression, which he called the “black dog” that hounded him, and his paintings were an attempt to stave that off. Winston Churchill on History.com: This is a great background resource about Churchill, World War II and more. Winston Churchill on Wikipedia: As in many cases, Wikipedia provides a good basic Churchill background. Speaking in America: Listen to a five-minute clip of Churchill’s “We are masters of our fate” speech in the United States in 1942. If you’re a really big fan: Check out this six-volume book set written by Churchill, which is what won him the Nobel Prize for Literature. For the younger set: Winston Churchill: Just the Facts Biography for Kids. Another good biography for younger readers: Who Was Winston Churchill? is part of a great series of biographies we’ve used heavily. What does it mean to be a great speaker? By some accounts, Winston Churchill had a speech impediment (though there are some people who disagree). You can certainly hear some kind of lisp or other speech difference in many of the audio recordings of his talks. Yet he is considered to have delivered some of the best speeches of the 20th century. What makes someone a great speaker? Is it the message? The delivery? Both? What does it mean to be a great writer? Churchill won the Nobel Prize for Literature. That’s a BIG DEAL. Yet the only friend of mine who I know who’s read his books said he was an incredibly dry writer – and this is a friend who is also a writer, and whose judgment I trust. But the value of his books that won the Nobel Prize, a six-volume history of World War II, might have been more the expertise Churchill brought to them. What do you think makes for great writing? The content? The style? The expertise? 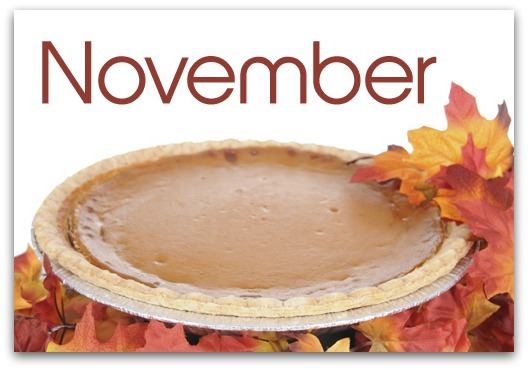 If you’re interested, there are many more cool “November birthday” lessons from my fellow iHomeschool Network bloggers. Click the image below to check them out! And thanks for stopping by to help me wish Sir Winston Churchill a happy birthday! You can check out more posts in our Learning Party series here! 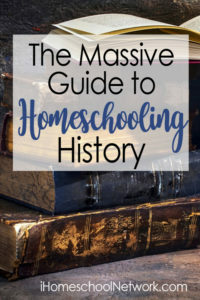 This post is part of the iHomeschool Network Massive Guide to Homeschooling History. Make sure to check it out for tons of other great history resources, including links to a dozen more Unschool Rules posts! This entry is about famous birthdays, history, unit study, unschooling. The previous post was Unschooling: Our October 2014 adventures. The next post is Radical unschooling and food: What it looks like at the dinner table. Hi from the “Conciliottoman” family – a collection of five humans starring Sarah, 17, who has been learning with us at home since Feb. 29, 2012. We haven’t looked back since that “Leap Day Leap” out of public school. We consider ourselves secular unschoolers, or life learners, and the coolest thing about our untraditional approach (besides the ability to stay up til 2 a.m. and sleep late!) is that we’re ALL learning in ways we’d never have expected. You can read a bunch more about us here. Hope you’ll stick around! Unschool Rules is a participant in the Amazon Services LLC Associates Program, an affiliate advertising program designed to provide a means for us to earn fees by linking to Amazon.com and affiliated sites.